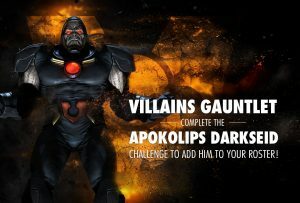 Apokolips Darkseid has been long expected by the fans since he is almost the last of the new Injustice Mobile characters to be added with version 2.6 of the game. 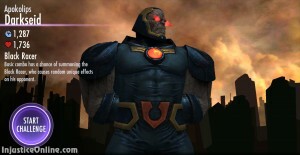 His impressive stats and unique passive ability, Black Racer, will make him a fun and powerful character to have on your team. 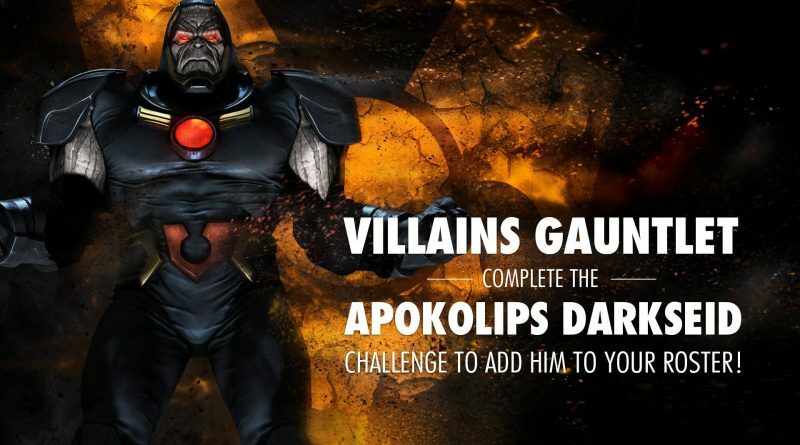 Stop by later for our Apokolips Darkseid Character Guide. 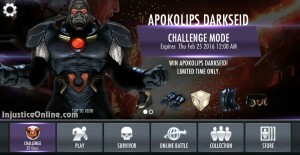 To beat this challenge you must have Bane, Nightwing and Wonder Woman on your team. 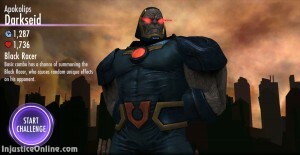 There are bronze/silver versions of all of them so this shouldn’t be a problem even for newer Injustice Mobile players. On the last part of this challenge, when we have to put Batman on the team, my game doesn’t seem to acknowledge Batman!! I have 3 Batman’s, but the game doesn’t allow me to play!! I will take a look at it when I get home. This is what I usually see when I complete a challenge phase,but only for a second. First thing I would try is a compete shut down of the app, then a restart of the tablet. If it doesn’t work I would reinstall it. Make sure to backup everything through the wbid first or you may lose your characters. Take a second device and try to synchronize to make sure everything is in the cloud. Thanks mate!!! Ill give a try!!! What is the next challenge ? Nothing has come up for me 🙁 ? You need to update the game first.